As we reach the third week of the season, we have arrived at the perfect time to begin jumping to conclusions. Being a Tigers fan, I can now say that after twelve games, they will win the Division. I’m exaggerating of course. Going into the season I have been cautiously optimistic. When the off-season started and there were rumors of us getting younger, I was concerned. When they signed Justin Verlander and Miguel Cabrera to their contracts, I knew we were paying for some past performances. Typically, these contracts aren’t going to be worth the money in the end, but I am ok with that. I want to see Miggy get his 500th and hopefully 600th home-run in a Tigers uniform. I want to see JV get to 200, 225 and hopefully 250 wins as a Tiger as well. I may be in the minority, but as someone who enjoys celebrating major career milestones, I believe those accomplishments are worth the money down the road (It’s not my money!). The Yankees attempted to capitalize on the very same situation with A-Rod before that blew up. It was interesting to watch the Tigers come to Tigerfest in February, and when they started interacting with the media, you could tell some of the players experienced a reality check. They showed a genuine appreciation that they have another shot at a playoff run. Then we had the unfortunate passing of Mr. Illitch. He was such an iconic figure in the city of Detroit. His contributions went far beyond sports. He was a true gentleman and he will be greatly missed. Some of the players were visibly distraught at the loss. They all know how badly he wanted a World Series title as our owner. He purchased the team in 1992, and was a former minor league baseball player so baseball was a strong passion of his. Going into Spring Training, I was curious to see how those two things would affect this team. They had a pretty rough spring if you look at their record (14-21), but I wouldn’t put too much stock into that. There were some promising things coming out of training camp. 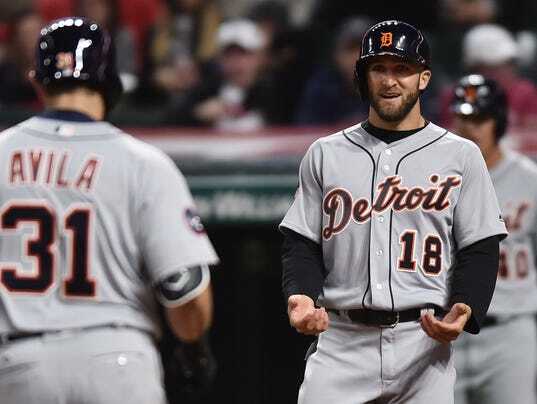 Jacoby Jones looked strong, Matt Boyd won the fifth starter spot, and Joe Jimenez showed why he is considered the closer of the future. When I am watching the Tigers throughout the season there are two things I use to assess their performance: Win the games you are supposed to win and win series at home. Play .500 baseball on the road and win 2 of 3 at home and you will be in the hunt for the playoffs. Using these metrics, I believe we are right where we should be. We split a road series in Chicago, we took 3 of 4 from the Red Sox at home, and took 2 of 3 from the Twins at home. That led us to the weekend series against the Indians in Cleveland. I said going into the weekend that 1 of 3 was crucial to us re-establishing confidence in being able to beat Cleveland. Last year was tough. Cleveland was due for some comeuppance. From 2013-2015 (In between Cleveland’s two most recent playoff appearances), we owned Cleveland. For those three years, our record against them was 37-19. At some point, they were going to get their opportunity and last year they got it, going 4-14. We managed to take 2 of 3 from them in Cleveland and that was with Justin Verlander getting hit hard. The Tigers are 8-4, and If you would’ve asked me at the start of the season, my expectation would have been 7-5 at worst, and 9-3 at best case scenario. The starting pitching is looking solid. The bottom of the lineup has over-performed and for the most part the middle of the lineup has under-performed. It is encouraging to have had this kind of success without strong numbers from Miggy, J-UP or VMart, all three of which consistently hit their numbers. The bullpen has been off to a rough start, but there are a handful of teams in the exact same position. K-Rod always starts off slow. He never gets in a lot of work in the spring and usually works his way in the first week of the season. Justin Wilson looks much better than last year. After that the rest of the bullpen is questionable at best. There is still a need there. Jim Leyland always said the first bench mark used to judge a team is 40 games. Based on their schedule, if they are sitting at 24-16, they are right where they need to be. Maybe then, some of these “experts” will start giving them more credit in their rankings then they have so far. Every year during the offseason we see a flurry of things and as fans obsess over the details and possibilities for the season to come. Some of us look forward to hopefully a better year, some of us celebrate previous success, and others are content with rebuilding years in hopes to be celebrating in the future. As we are now a week and a half into the season, most teams have played 8-9 games now and I want to take this time to focus on the main thing analysts and fans try to predict and debate about. The division standings. Without doing any research off the bat I recall most publications and analysts, twitter personalities with opinions etc, having a lot of the similar predictions. LA to win the NL West, Chicago and St Louis to control the Central and NY and Washington to hold down the East. IN the AL you have Seattle and Houston expected to own the AL West, Cleveland and KC in the Central and Boston and Toronto in the East. That is at least the dominant opinion. I can’t say I disagreed much after the season we seen close in 2016. After the most entertaining World Series I have seen personally in my 30 years here though we begin to talk about who will be traded, what teams will tear it all down, and what teams will spend on the big free agents. This typically changes the playing fields for the following season. I’ll start by saying in the first 10 days the NL East is the only division has not surprised me. Yoenis Cespedes and Jay Bruce power an offense led by fantastic pitching right to the top. I am a fan of Jay Bruce as a player so I am happy as a fan to see him getting off to a good start there now. Washington is only a game behind the Mets though and Bryce Harper has continued to tear the cover off the ball from Spring Training to the Opening week and beyond. In the AL East we can see Baltimore perched atop right above a Rays team that has looked very good as well. At this rate the Rays appear to be a .500 team but it’s still early. Baltimore has a surging offense and Manny Machado has looked really good so far. I like this team. The big disappointment though is Toronto. They have only won 1 game and sit in the basement. In the middle of the pack with an even record is the expected winners. The Red Sox. I don’t think it will be long before Boston kicks it into gear and strings together some solid pitching performances and have some big blowouts with that offense. I think a lot of Boston’s expectations will ride on how David Price does once he returns from the DL soon. In the NL central even I am guilty of pretty much giving it to Chicago. Chicago has gotten off to a rough start but appear to be turning it around. Kris Bryant has so far been rather unexciting and St. Louis is sitting in last place. Pirates and Brewers are somewhere in the middle while Cincinnati has the second best record in the NL. Cincinnati has hit home runs in every game and had 3 shut-out performances. A roster that is loaded with rookies and young talent it appears that these young guys are playing with confidence and the young pitchers are starting to figure out their mechanics and throw with conviction. I am a glowing Reds fan this morning but a rational part of me says it won’t last all while a more obnoxious voice in my head keeps yelling over my sensible thinking chanting of the 1990 wire-to-wire team. I can dream right? The AL Central everyone I am sure had Cleveland pegged to take it with ease. I mean I did, and why wouldn’t you? They played amazing in the World Series and made all the right moves in the offseason to improve. They got Michael Brantley back healthy and he is hitting walk-offs, of course you pick Cleveland. And you would be right the first week. They went on to win 4 in a row out of the gate but then lost 4 in a row to fall in the middle. Detroit is not exactly a stranger to dominating the division but they’re in a weird place as a team. They have young talent but also some question marks in Justin Verlander. Is he back to being a Cy Young pitcher for good? Is Miguel Cabrera still going to hit 40 homeruns? Is Carson Fulmer the real deal? Is Castellanos going to take the next step to star status? Will Martinez perform well coming off the DL? Well these questions so far don’t matter. Detroit sits atop right above above the team that I think has shocked most of us fans. Minnesota. This Minnesota team was pegged to barely win 60 and so far their young team is performing well. Miguel Sano and Byron Buxton are supposed to be the future there. We will see. KC and Chicago are so far not relevant. We head out west where things may be more interesting now. In the National League we’re expecting the dodgers and Giants to continue their year to year fight for first but so far the story has been Arizona and Colorado. Both of these teams are loaded with young guys. Colorado has all the young guys on the field who are all capable of elite slugging. Their pitching will be their weakness but so far some rookies have done well and that’s reflected in the win/loss columns. Arizona on the other hand on paper have a very good pitching staff but last year Greinke under performed and the team did not do well. So far they are the best in the NL and the offense is rolling. I’d like to see some new teams in the playoffs and the NL west is one division I could care less about. The AL West is the most intriguing to me so far. Seattle has shown their struggles and Oakland is a team nobody knows what to expect because of the way they move players in an out regularly. Texas looks to be primed for the post-season again soon but they’ll have to get through Houston and LA. I don’t give LA enough credit. 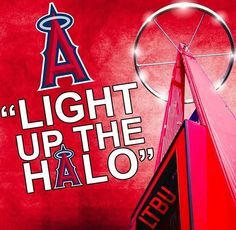 Sure they have Pujols and Trout but that hasn’t done them any good in the recent past so why would that change now? Well, CJ Cron is starting to hit well, Escobar looks great so far and Calhoun is underrated as a hitter. THeir pitching seems rather unexciting but Garrett Richards is back and it would be perfect for him to return to the ace performer he was before the injury. For now as a Reds fan, everything is right in the world but optimism and reality don’t always mesh good so as we head into the second weekend of baseball what have you seen or noticed about teams that is different than what you’re used to seeing? What players do you feel are underrated and outplaying their reputation? Welcome everyone to the baseball New Year. If you are as big of a baseball fan as me, the curtains are open, the jerseys are out, fantasy lineups are set and hibernation is over. Opening Week has come and gone, people have jumped on bandwagons, hit the panic button, drank the Kool-Aid, and thrown in the towel on the season already. It is the best week of the year for baseball fans. Winter is over and Summer is coming, and every fan can dream. Will someone hit .400? What’s going to be the longest hitting streak of the season? Are Chris Sale and Clayton Kershaw going to win the Cy Young Award this year? Will the Cubs repeat their World Series win? Did the Indians do enough to get back? Opening week starts the process of dreams coming true and questions finally being answered. For those of you who don’t know me; my name is Justin and I have lived in the Metro Detroit area my entire life. I started watching Tigers games at a very young age. I grew up as both a Tigers and Cubs fan, thanks to WGN. I had debates with my G.I. Joes as a kid over who I liked more, Sweet Lou or Ryno. In my opinion there is nothing greater than being able to enjoy the sweet voice of Ernie Harwell saying “It’s Loooong gone,” and singing “Take me out to the ball game” with Harry Caray. The Tigers always took precedent for me over any other teams or players along the way. I was fortunate to have my parents take me to a couple of games every year at the old Tiger Stadium. Opening day wasn’t a part of those game as a kid, however, on Friday I celebrated my 11th straight home opener for the Detroit Tigers. As I started viewing them as a viable team again in the late 2000’s, I decided to start the tradition of starting the year at Comerica Park. There aren’t too many cities that celebrate the beginning of the baseball season like Detroit. Most of the celebration is an excuse for people to take a day off work and drink away their winter blues. Whatever the reason, it’s still awesome to start the year sitting in a playoff-like environment. The crowd cheering for every base hit, standing up and getting rowdy when our pitcher has a two-strike count. And for the last 9 years, celebrating an Opening Day victory. It has become a habit for me to start the new year at Comerica Park. It is my home away from home. Every year being able to walk into the stadium and take that first breath of baseball air. It is a special moment for me, watching each member of the Tigers organization step out on the field and getting a huge cheer from the crowd. Listening to the National Anthem and watch the fly over from the military aircrafts. In a way, it’s like I am stepping out of the dugout to start the game. I don’t hold back at the start the season. As my wife will most assuredly tell you, I spend the first 7-14 days completely immersed in baseball. I don’t miss a single Tigers game and I watch most of the other team games as well. MLB Network is like wallpaper in my house, we use it as white noise. As the new season smell finally begins wears off I settle in to baseball filling my downtime during the week. As the weeks go on I will happily give my two cents on anything and everything baseball related. I will give you my home team opinions on if it will be a special year for the Tigers. I will try to touch on my first fully committed season of fantasy baseball, and my bucket list goal of seeing all 30 MLB stadiums. Other topics I hope to discuss are All-Star games, Hall of Fame, performance enhancing drugs, and the state of the game as well as any other topics that will arise. To everyone that joins me along the way, thank you for taking part in my journey and helping me embark down a road I dreamed of as a kid, sharing my love for baseball with people around the country. 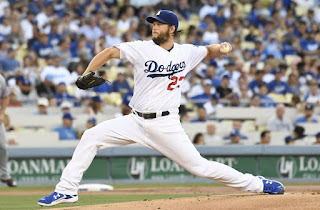 Opening Day | Clayton Kershaw G.O.A.T? As of Opening Day there are already many interesting things that have happened. I’ll start by bringing up that Bryce Harper once again has hit a homerun on Opening Day. This is the 5th year in a row he has done this. It is remarkable and a total freak incident I’m sure but next year will pitchers just pitch around him out of spite? We’ll see. Benintendi hits a 3 run bomb for the Red Sox, Joc Pederson goes yard twice, Rougned Odor goes yard twice, Madison Bumgarner who is a pitcher goes yard twice! Cesar Hernandez in the first AB of the season for the Phillies takes the Reds deep, it was an eventful Opening Day around MLB. One thing that was brought up that I seen last night watching highlights of the Dodgers/Padres game was Clayton Kershaw. I want to take the remainder of this post to talk about Kershaw and his dominance. The three time Cy Young winner is our current “once in a generation” talent. 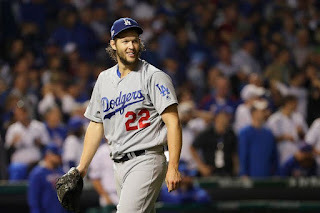 If anyone were to ask you what single pitcher would you want to build a team around, most folks would say #22 in dodger blue Clayton Kershaw. Kershaw opened up against San Diego and went 7 innings of 2 run ball. Only 1 run was earned. He served up 8 strikeouts and led LA to a 15-3 victory as the season begins. Clayton Kershaw was a pitcher that I took for granted for all these years. Despite his constant dominance throughout the regular season I never seemed to be convinced he was the real deal. Boy was I wrong. 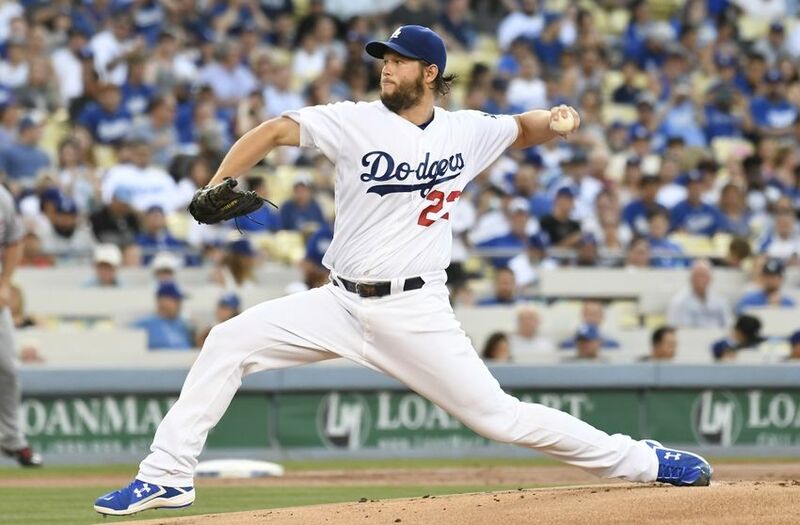 Clayton Kershaw has become what some are already calling an all-time greatest! That’s almost absurd to me to say out loud until you really look into the stats behind the argument. Since doing so I’ve indeed changed my tune a bit and I am finally on the Kershaw-wagon. Clayton in what is about the halfway mark of his career has maintained a career ERA 2.36 to this day and is closing in on 2000 career strikeouts. This guy has so much more career left to go it’s insane to consider that a lot of people regard Sandy Koufax as the greatest pitcher of all time. Kershaw is well on track to rival the stats. Numbers do not lie. Let’s have a look. Is that not insane to put into perspective? Let’s take into consideration that Koufax played in a much different era where rotations may have only had 3 or 4 starters and bullpens weren’t used in the same manner as they are today. Thinking of where Kershaw sits right now statistically he is about 2 good seasons away from over taking Koufax in strikeouts. Innings pitched may take a while longer but even if he just coasts the rest of his career as a decent pitcher he still will command respect. There is one thing that Koufax has that Kershaw still has not seen. A ring. Kershaw has an NL MVP award and plenty of pitching hardware but the ring eludes him. So as we have tooted the horn of Kershaw you gotta wonder how much is a player being groomed for the greatest of all time putting in the bank? Well after doing a little research he is bringing home $33 Million dollars this season. The relevance of playing the Padres is interesting because Clayton Kershaw will make this season almost as much as the ENTIRE 25 man roster in San Diego. They make $34 Million. The highest paid on that roster is slugger Wil Myers making $4.5 Million, then Jared Weaver making $3 Million. Solarte is just under that as well. When you first hear that you may be like me and think that is overvaluing a player, a pitcher at that who is more prone to an arm injury. But you have to ask think about that question. That’s insane that he makes that kind of money… But is it really that crazy? Share you thoughts. Will Kershaw finish his career as the greatest all around pitcher ever? I mean he may not come close to Nolan Ryan’s strikeout record but I have to give the man the respect he deserves from now on.